The importance of telling your children how much you love them cannot be overstated as it makes them feel important and cherished. 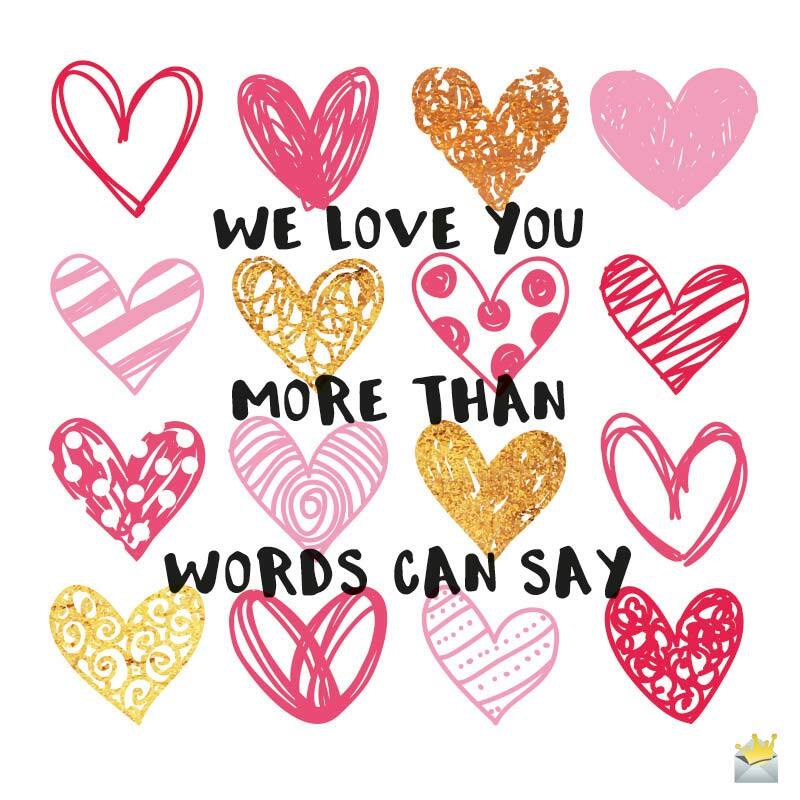 So go ahead and let your children know that they are highly treasured with the following heartwarming “I love you messages and quotes” that we have compiled below. You are the most precious gift life has ever given me, dear daughter/son. I can live in this world devoid of anything, except you. I never knew what it was like to unconditionally love someone until you all came into my life. I would give my life for yours in a heartbeat! When I look into your eyes, I can see the future. Every struggle I ever faced in life seems worth it now that you are here. Love you so much. I love you all, my dear children. I hope that you all live to be 100 years old and will remain best friends throughout. The greatest fear my mind can conceive is any of you passing away before me. Please take care of yourselves, stay strong and make me proud. The love my heart has for you is larger than the universe. My life has transformed from living solely for myself to now being entirely dedicated to the lives of others – my wonderful children. No matter how old, big or disagreeable you may get, in my mind you will always be the sweet little child that God has blessed my life with. Never will my heart stop loving you. No matter who you come across in life or what type of relationships you’ll form, you will never find anyone who loves you as much as I do. I may not like you all the times, but I always love you, my dear son. I have never been as proud of anything in my life than having and raising you, my beloved child. You are a bundle of joy that always makes me smile, even when I don’t want to. I love you more and more with every brand new day God blesses us with. Having the responsibility of taking care of you brought out attributes I never knew were inside me. You, children, have unknowingly guided me in my personal development in so many ways. I will forever love and treasure you. Love is an ocean whose depths I never really comprehended until I was blessed with you in my life. Like a mama bear would give her life to protect her cubs, so has my love stood as a shield over you for your entire lives. I love you so much that even if you don’t want me in your life, I would be there, watching over you. There’s nothing more important to me in this universe than having you as my daughter. It is for this reason my heart shall treasure you until the day it stops beating. The love I have for you, my dearest daughter, is something that cannot be expressed in words even by the greatest poet. Son, my love for you is as everlasting as God’s universe. No matter what happens in life, I will never turn my back on you, my beloved child. I love you too much to let you face this cold world all by yourself. Darling daughter, my love for you extends so deep that even though I know you’re calling to once again ask for money, I still pick up the phone. I know I’ve made some terrible mistakes in the past, but through it all, I have to believe that you still understand how much I love you. The deepness of my love for you is something you can never fathom until the day you have children of your own. Since having you, I can’t imagine life without you. In fact you can say my life would lose meaning if I were to lose you. When you have your own children, I hope you never make the errors I have as a parent, so that they will never misinterpret your mistakes as a lack of love. Parents are the only people who love you enough to give you their full blessings despite your character flaws. Of all the relationships I ever had, that with my children is the most adoring as well as the most unique, because only by looking at my child can I presently see both my future and past. All of my children have different personalities, strengths and weaknesses, but I love them all the same – with undying, unwavering affection. Parenthood is like you may fall out of love with the person you had children with, but you will never fall out of love with the child. If someone pointed a gun at you, I would jump in front of the bullet, and if you had a life threatening disease, I would pray for it to inflict me instead. If that doesn’t make you understand that I love you, then I don’t know what will! My love for you is so strong naturally that I would have to question the overall humanity of anyone who proclaims that they don’t love their own children. The air that I breathe is not even remotely as important to me as you, my beloved son/daughter. Simply put, I treasure and love you more than the priceless gift of life the universe has blessed me with. Although my actions towards you may not always be perfect, my love for you always is. There is perhaps no greater wish a parent has for a child then for the child to love him just as much as he loves the child, if such a thing is even possible. Son/daughter, the greatest and most priceless possession in my life is the love I have for you. I was a completely different, juvenile person before I had my children. Only the love I have for them could have affected such a positive transformation. 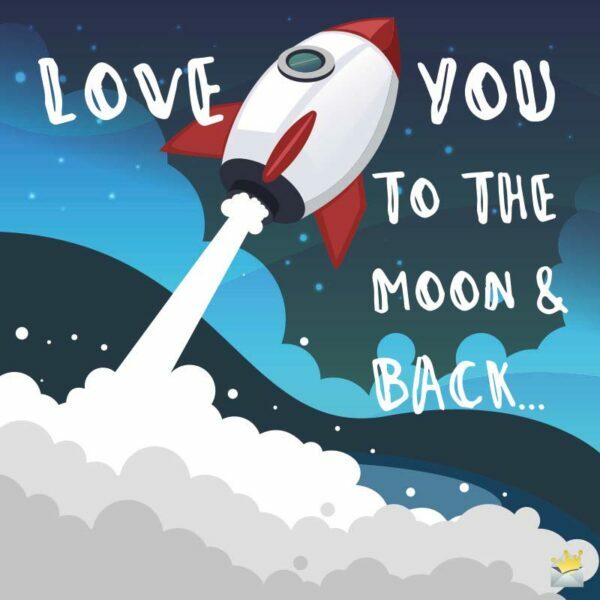 There is no thought or action, spiritual or physical manifestation conceivable that could separate me from the love I have for you, my sweet children. 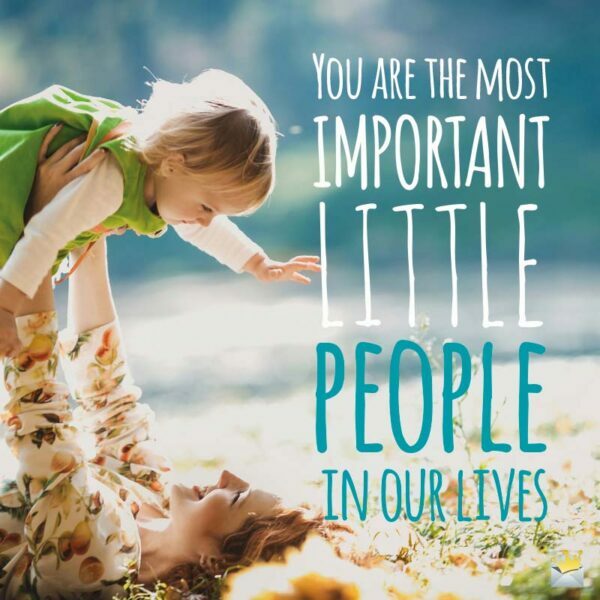 You are the most important little people in our lives! I know that I may get frustrated at times, but there’s nothing I derive more pleasure from than serving and taking care of my amazing children. I will climb every mountain on earth just to make you smile because my love for you is extraordinary. Always kiss your children goodnight – even if they’re already asleep. H. Jackson Brown, Jr.